Do charter schools really help children improve? 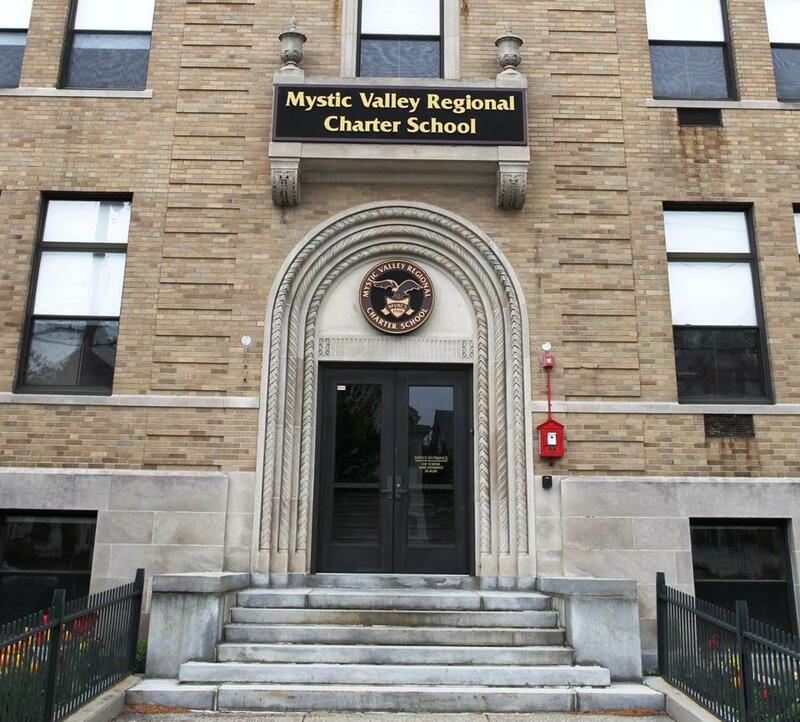 Mystic Valley Regional Charter School is one of the charter schools in the Boston area. The study focused on charter schools in Texas. When it comes to helping poor and minority students get better test scores, good charter schools really do seem to make a difference. However — and it’s a big caveat — a new study suggests that the benefits stop at the school door. Charters may boost test scores, but they don’t help students get better jobs or earn higher incomes. It’s a dramatic finding, made newly possible by the fact that the charter movement is just old enough that we can begin to trace its long-term impact. Come November, a ballot question will give Massachusetts voters the right to decide whether the state should add more charter schools. This latest finding provides new ammunition to the anti-charter forces in what is shaping up to be one of the state’s most hard-fought ballot battles. This isn’t some advocate-funded study. It’s from a pair of widely respected researchers — one at Harvard, one at Princeton — whose previous research had seemed to support the promise of charter schools. Using detailed data from schools across Texas, they’ve tried to tease out the relationship between charter school performance and success in the job market. And what they found is that the relationship is actually quite weak. While high-quality charter schools do improve test scores, they don’t seem to help kids get better jobs or earn more money. That’s surprising, to say the least. Generally speaking, better test scores translate into better jobs. So it was reasonable to assume the same link held for charter schools. Except that doesn’t seem to be the case — not even with the highest-performing charter schools. Perhaps most striking were the results for the “no excuses” brand of charter schools, which combine strict behavioral rules with longer school days and extended school years. No excuses schools have a particularly strong track record, including in Texas, where “no excuses” schools were associated with higher test scores, elevated high school graduation rates, and even some improvement in terms of college success. Somehow, though, these benefits didn’t translate to the labor market. Kids from “no excuses” charter schools received an earnings bump so small it was within the study’s margin of error, despite the students’ improved academic performance. Why don’t high test scores translate into job success? This is still an early study, so it’s possible the Texas results are a fluke. But if the findings hold up, there could be a couple of reasons why charter schools raise test scores but not lifetime earnings. It’s possible that charter schools focus too narrowly on tests, with less emphasis on art, music, play, or other kinds of skill-building. That approach would pay off on state exams, while yielding little in the way of lifelong benefits for test-obsessed kids. Alternatively, there could be a more general problem facing low-income and minority kids. Maybe they are getting a better, more rounded education in charter schools. But then, when they move into the workplace, they face a new set of impassible obstacles, like implicit bias or a lack of social capital and job-seeking connections. It’s also possible this isn’t really about charter schools: just the ones in Texas. After all, Boston is known to have some of the best charter schools in the country; maybe they’re doing a better job preparing students for the job market. The trouble with this “Boston isn’t Texas” argument is that even the best Texas schools weren’t able to boost student earnings. And the “no excuses” approach used there isn’t wholly different from the one employed here. Charter schools are an ongoing experiment. That’s part of their power and appeal. Schools try out new approaches to education; academics assess the results; and then state and local governments use policy levers to encourage or curb charters as appropriate. For several years now, the research consensus has been largely positive, with a concert of findings showing that many charter schools really do help struggling students succeed on state exams. Emboldened by the research, education reformers have sought to increase the number of charter schools and charter students. That’s what this year’s ballot initiative is ultimately all about. So far, the ballot question is shaping up to be one of most contentious and costly in Massachusetts history, meaning that the future of charter schools will be determined by who has the most persuasive ads and the best get-out-the-vote efforts. Yet, even as we ready ourselves to vote, we are entering a new phase of research, where it is possible to look past test scores and see how charter-educated kids actually fare in the workforce and throughout their adult lives. If this study of Texas’ charters holds up, we may discover that charter schools aren’t as effective as test scores would suggest.